Hope is a ray of sunshine and pure joy. She’s creative, artistic, and so much fun to be around. I’ve gotten to know Hope through working with her dad, Mark, at Plainfield Christian Church. I had the privilege of photographing her family a few years back and getting to take her senior photos was a blessing. I hope you smile looking at these photos as much as I did taking them. 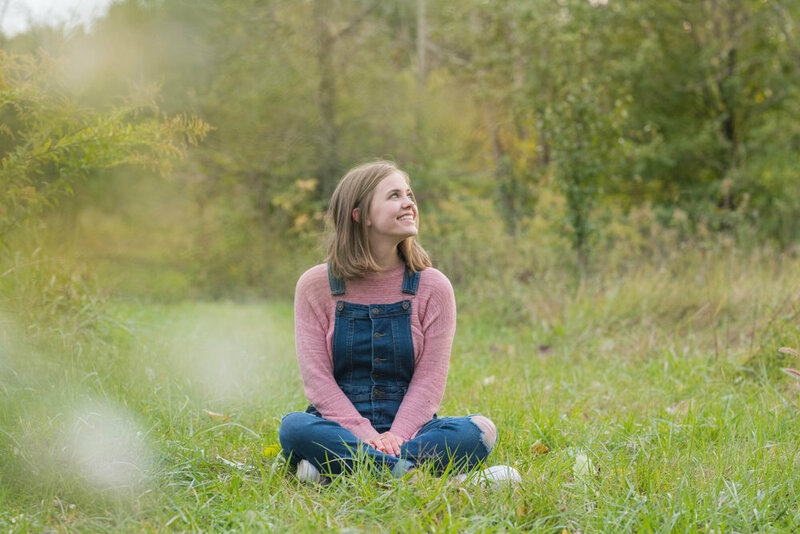 Hope goes to Ben Davis High School and her favorite subject is art. Three words that Hope would use to describe herself are cheerful, creative, and loved. Her favorite food is donuts (girlllll, mine too!) and if she could have any super power, it would be the ability to speak every language fluently without having to think about it or learn it. Hope’s favorite movie is Up! and when asked who she looks up to, she answered, “My parents!” Her dream job is to be a mom and after high school she plans to pursue a graphic design, illustration, and creative arts ministry career. Hope, I wish you the best of luck during the remainder of your senior year and in whatever lies ahead—keep following Jesus and inspiring others through your art of how much they are loved by Him.